TRENTON-- Your mission should you choose to accept it: You have 20 minutes to write about a completely random topic, ready, set, go. Well, if you're one of those creative types that is dying to get their thoughts down on paper, then Trenton Public Library's Writer's Group has got you covered. Monday evening, Anwar's Reflections attended Trenton Public Library's first ever Writer's Group gathering at the Public Library's Main Branch located in Downtown Trenton. The event was moderated by Kate Simmons. Members of the community were invited to come and share their writing with others. Simmons says that groups like this are important because it gives "writers in the Trenton, Mercer County area an opportunity to meet similar folks, to write and to share experiences, and to showcase their talents". She went on to say that "Trenton has a lot to offer as far as arts, and I think there's a lot of potential here, I think there's a lot of creative folks that live here, and I think why not provide a venue for others to express themselves creatively through words". The Writer's Group meets the 4th Monday of each month at 6 pm until 7:30. During these sessions, individuals are given the chance to write on a completely random topic for 20 minutes and share it with the group if they are so inclined. On Monday night, the group wrote about poetry, music, and time. The Writer's Group plans to have an open mic night during the even months like April, June, and August. At these open mic sessions, everyone is welcome to come and perform their writing, rap song, poetry, and what have you. Each performer will be given five minutes to perform, if there is extra time, performers will be given a chance to come back up and showcase their unique talents once again. One of the Group's attendees, Pravin Phillip, said they thought the event this past Monday "was an example of the richness of Trenton and its sense of community and culture". Another member of the group, Willa Stokes, said that she "didn't know what to expect" but that she was "very surprised and pleased with the talent" that was on display at the Writer's Group. She went on to say, "I needed something to inspire me and this has definitely inspired me". Another group attendee, Ravi Arapurakal, was pleased with the event as well because "when 6 or 7 people come together, you don't expect each and every one of them to be thoughtful and inspiring people, but that's what I saw tonight". Lastly, well-known poet and community activist, Raul 'Polo' Cortes, said he thought the event was great because he "was with other great writers" that he never met before. AGS: What is the name of your business and what do you do? The name of the company is Transform Consultants and what we do is training and development workshops, promotions, and events management and I’ll explain each one in the short version of it. The training and developing workshop deals with us coming into non-profit organizations, businesses, colleges, universities and faith-based institutions. We also do one on one training on various topics, it could be customer service, time management, group dynamics, leadership development, and the list goes on and on depending on what the clients needs are. The event management piece deals with someone contracting us to do event planning, conferences, bachelor’s parties, weddings, these are just a number of things we can come in and do, depending on what the client needs are. The promotions management piece gets into press releases, promoting an artist or promoting an individual from a public relations standpoint. I am an alumni at Rider University. I have a bachelors of arts degree in Liberal Arts and Social science. I am currently working on my Master’s of Divinity degree at New Brunswick Theological Seminary in New Brunswick, New Jersey. I have 10 plus years of experience in terms of corporations, human resources, training, and teaching. 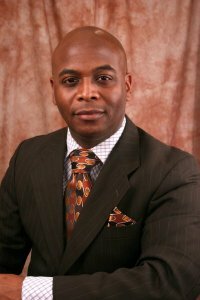 I have a corporate background as well as an extensive experience in faith based ministries. I launched my company in March of 2000. AGS: What is the motivation behind launching your business? Well, I kind of just looked at my skill set and saw the different things I'm capable of doing. I think its very important for people stay in your lane. Like I tell people all the time: What is your passion? What is the lane that you think that you have been called and put on the earth to do? So, my passion is one motivating and encouraging people to take their skill set and take what they have currently and take it to another level. In terms of planning and coordinating events, and promotions, I kind of took a liking from my dad who had his own business some years ago in the travel industry and so kind of watched his from afar and saw how he went after things and did some things in terms of planning events travel arrangements, hotel arrangements and trips. I kind of take after my father, he had a traveling business, it kind of pushed me in the direction of starting my own business. AGS: Where did you get the name for your business from? Is there a story behind the name? Yeah, there is because if you look at the word, 'transform' that word means something that develops into something. That could be the training piece. We go in and take individuals and we try to transform them in being better leaders, better corporate managers and being effective in society. When it comes to events and promotions, you're developing something from scratch and developing it. If you ever saw my logo,you know my logo is a formulation of a tree. there’s a tree on it and eventually that tree is going to produce some leaves. So as the weather breaks you'll see all the leaves blossom, that’s the connection with transform. AGS: Where there any challenges in launching your business? If so, how did you overcome those challenges? I would say yeah because when you’re trying to launch a new vision , you really have to prove for people that you're trying to get business from that you can do the job with excellence and turn projects around, when you say you can turn them around, and most importantly, what I see today is some companies taking your money but they are not producing and do half jobs. So, it kind of leaves a bad taste in your mouth. All of my clients know that I always perform with excellence , and sometimes I go above and beyond with certain clients. You want repeat business and also want people to refer you to other people. AGS: Do you have any interesting clients or stories that you came across in running your business? Definitely, that's happened on a couple of occasions, one client I had, the relationship, from a business standpoint, had to kind of sever because it was a situation where I was producing the work, but was not getting paid. I really try to work with clients when payments are due. But in this case, we had this big client that we produced the work for, but when it got down to the nutshell, they really didn't have the money in place when they should have had the money in place. I had to sever those ties because my thing is if I'm working for you and producing, I expect to get paid in a timely manner. If payment is not rendered, all work stops, it just ceases until you're able to do that [make payment] or we discontinue the project altogether. That's why we always ask for a retainer down and that retainer is not refundable. If we didn't do that, we would be losing money. There was a situation where I had to just sever ties. It was never restarted. I was very disappointed with that because when you contract somebody and tell them verbally then also in black and white, that we cannot do it because no payment was rendered for our consulting service. Well, in the past, I did a little bit of stuff in the newspaper and we also have done brochures that I put out there. We did have a website done,we're in the midst of redoing the website. But in the meanwhile, we have a brand new brochure that we send out to potential clients. If people are interested, I usually have a conference call with them and get things started this way. AGS: Being that you’re an entrepreneur yourself, what tips if any, would you give to an up and coming entrepreneur that wants to be successful as well? The first thing I would tell them is research, research, research, make sure that the business is lucrative, I would also suggest that you really get know who your competitors are around you. Meet with people that are currently in the industry, do cold calling with people that are in the industry currently. 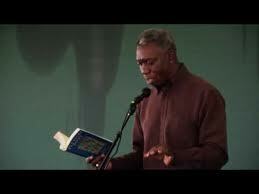 LAWRENCEVILLE--Thursday evening, Anwar's Reflections-- a Trentonian affiliate-- attended Rider University's Poetry Slam. The event was hosted by Rance Robeson, a senior at the University, and the editor and chief of On Fire, a literary journal that is published on campus. Now please don't get me wrong, this was not your average, run-of-the-mill college event. Music was provided by DJ Wes Will and snacks and refreshments were served by the On Fire staff. This kind of community event is often missing at larger colleges or online colleges. The purpose of the event was to give Rider students an entertaining yet informative break from their classes. The event was held in the Bart Luedeke Center's Fireside Lounge Thursday evening at 7 pm. In attendance were students, faculty members, and residents of the community. During this event, up and coming performers showcased their unique talents and gifts. As a matter of fact, two promising comedians, Trev Houston and Jackson Comedian Jackson, did their stand-up routines. One of the audience members, Louis Chebeter, is quoted saying he really enjoyed the event because it helps students relax and take everything in. He went on to say that as a student he really appreciated the opportunity to get away from all his studies. Another audience member, Kristen Lynn, who is involved with Rider University's SGA (Student Government Association), said she thought the show was entertaining. Another student, Adrian Baraguin, said he thought the event was moving. He went on to say that poetry really isn't his thing, but that he was impressed with this event here on Rider's campus. Senator Robert Menendez speaking at Rider University. LAWRENCEVILLE--Today, Anwar's Reflections attended an event at Rider University where United States Senator Robert Menendez was on campus to deliver a presentation regarding United States politics. 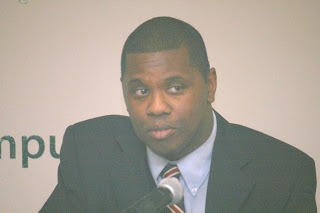 The event was sponsored by the Rebovich Institute for New Jersey Politics. Menendez spoke before a crowded audience in the Daly Mercer Room Tuesday evening at 5:30 pm. 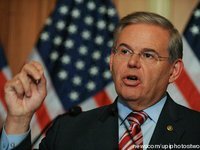 The title of Menendez's discussion was 'A Report from Washington, DC'. During his presentation, the state senator spoke about the importance of examining "what's happening both domestically and internationally in the United States", not simply from the perspective of any particular political agenda, but rather to look at current circumstances and see whether what we witness today in the United States actually "satisfies our vision of what we want America to be, and what we want it to represent to the world". Menendez went on to say that we as citizens "have to make some difficult choices in the days ahead. Choices surrounding budget cuts and America's role in the world". During Senator's Menendez's presentation, he posed two distinct questions, "What is our vision of the America we call home? What is it that we want life in America to be like?" He went on to say that, "sometimes in the midst of our daily challenges, we lose sight of the bigger picture". But he went on to gently warn the audience that we do this at our own peril. During his speech, Menendez said that his vision of America ultimately came from his mother, a political refugee from Cuba, that simply had "faith in her God, a faith in her family, and an abiding faith in a new country". While growing up, Menendez recounts that his mother would always emphasize the importance of doing the right thing. The state senator said he took his mother's advice with him as he took a role in public service and politics. He said that the choices we make in this current economic crisis "will fundamentally define who we are as a people, what we stand for as a nation and what we want America to represent for the foreseeable future". Later, in his speech, he went on to say that his vision of America begins with "civility in our politics and in our lives so that we can look across the table and across the aisle at those that hold deeply to views that one might find disdainful but find a way to seek common ground." He also went on to discuss the importance of investing in innovation and education when it comes to the nation's budget. At the end of his presentation, Menendez answered questions from the audience. One student asked the senator to give his take on Medicare, another student asked Menendez to chime in on the issue of collective bargaining and labor unions. Another member of the audience, a professor, asked the senator to consider reducing the size of government to make it more efficient. Chairman of the Rebovich Institute for New Jersey Politics, Benjamin Dworkin, coordinated the event and said the Rebovich Institute will be holding another presentation April 14th in the same location with former New Jersey Governor Brendan Byrne. Anwar's Reflections will be sure to keep you informed on any new developments. Professor Komunyakaa reciting one of his poems. AGS: First off, can you tell our listeners out there a little bit about what you do as an educator and poet? Currently, I teach poetry (craft and workshops) in the Graduate Creative Writing Program at New York University. I’m always working on at least three collections of poetry simultaneously (my latest collection The Chameleon Couch was released by Farrar, Straus and Giroux this week). I also write and publish plays, verse plays, and essays. AGS: What is your background? How long have you been an educator and a poet? I grew up in Bogalusa, Louisiana. I believe that one internalizes a landscape, and Bogalusa still influences my perspective on the world and my work. My great-grandfather and my father were carpenters, and my first dream was centered on becoming a horticulturist. I had drawn plans for greenhouses and I learned a few things about grafting plants. As a teenager I had numerous jobs (which perhaps, in retrospect, facilitated my writing), but the most defining experience was a summer job where I cut pulpwood with my uncle and cousin, whereby we would enter the woods at daybreak and exit after sunset. I thought nature was magical even though sweat was running into my eyes and every muscle in my body was aching. When I was 21 years old, I was drafted into the army and eventually sent to Vietnam. Some time after I returned, I entered college with a triple major psychology, sociology, and English. After graduating, I went on to earn two graduate degrees in Creative Writing. In 1982, the University of New Orleans invited me to teach composition. After a few years there, I thought I’d return to working with my hands as a cabinet-maker, but I received a call from Indiana University inviting me to teach creative writing in a one-year visiting position. I ended up teaching there for ten years. Since then I’ve taught full-time at Princeton University and New York University. AGS: Which poets influenced your work? Early on in grade school I was introduced to the work of Edgar Allen Poe and the poets of the Harlem Renaissance (Langston Hughes, Claude Mackay, Countee Cullen, Anne Spencer, etc), along with Phillis Wheatley and Paul Laurence Dunbar. I was amazed by Wheatley’s work: this girl who was brought to Boston on a slave ship (called the Phillis) when she was seven or eight years old had written many of her poems as a teenager between scrubbing floors and working in the Wheatley household. Her work and her indomitable spirit spoke to me. My influences are numerous and include writers, artists, and musicians such as Robert Hayden, Elizabeth Bishop, Paul Roebeson, Romare Bearden, Miles Davis, Charlie Parker, and many others. AGS: Did you face any challenges in becoming an educator and a poet? If so, how did you overcome those challenges? I feel that one’s biggest challenge is oneself. I was taught by my great-grandfather to believe in myself because he believed there wasn’t anything one couldn’t do with hard work and perseverance. I think one can’t be afraid to dare life to inform oneself, but one has to be humbled by the reality of one’s dreams and prepared to venture beyond the safe, overly familiar world. For me, listening became instructive as a poet and as a teacher. AGS: Being that you're an educator and poet yourself, what advice, if any, would you give an up and coming poet that wants to succeed as well? For the true poet, the poetry itself is the only success. Writing comes out of a need and most of the peripheral activity is no more than a distraction from the work that has to be done. It is hard to be a poet and not love language or embrace the mechanics of revision. Attempt to read everything, and don’t be afraid to let time become a component of the equation. Have patience with the poem and actively engage it. Poetry is instructive on how life is a process of negotiation. Each day changes us, so when we return to a poem changed, our perception of the poem changes, and perhaps we are less afraid of confronting ourselves. Today, Anwar's Reflections sat down with well-known DJ WES WILL at Rider University. From parties to open mic gatherings, the Bronx native has been spinning the one's and two's with unmistakable vigor ever since he was in high school. During the interview, it became evident that Will is a DJ that takes great pride in bringing range and versatility to his craft. Needless to say, he doesn't take DJ'ing lightly. Looking over his career thus far, it became fairly obvious that DJ Wes Will is a multifaceted entertainer. From playing the piano to tackling the bass guitar, it is clear that music is something DJ Wes Will is deeply passionate about. Today, Anwar's Reflections was fortunate enough to sit down with well-known trombonist Clifford Adams. Many know him as being part of the top selling jazz group KOOL AND THE GANG, but few know that Adams grew up right here in Trenton, New Jersey. 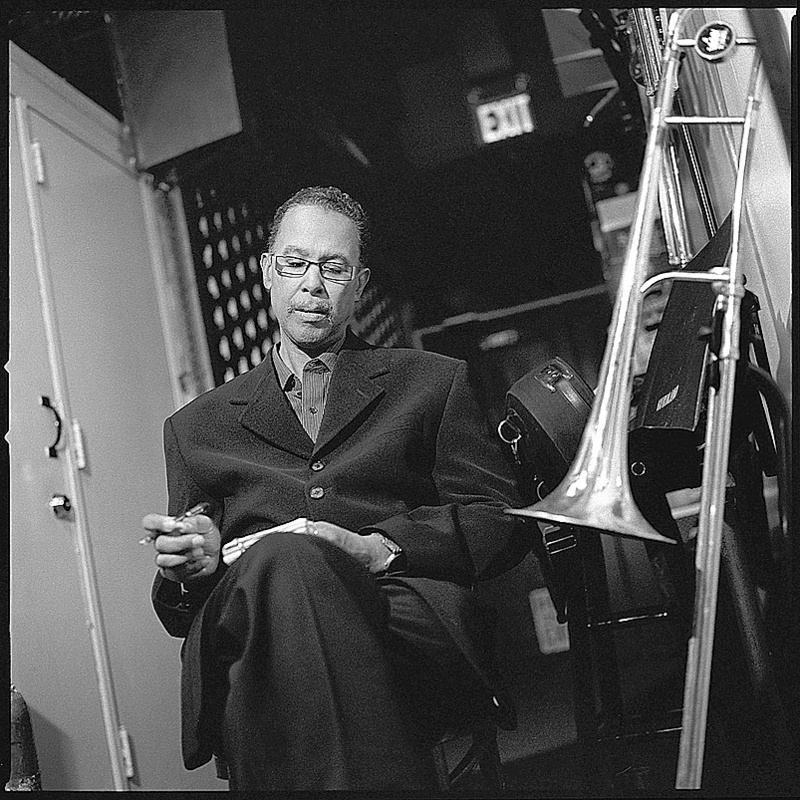 Throughout his illustrious career, Adams has played with many of the jazz greats, including but not limited to, Freddie Hubbard and Lee Morgan. Thankfully, Adams decided to take his unique talents on the road. In the process, he has been fortunate enough to tour the world and traverse locations the likes of South Africa, Japan, Australia, and Russia, just to name a few. Let's face it, not everyone gets a chance to go on tour with legendary songstress Patti Labelle and the Bluebells at the tender age of 18. Nowadays, you can find Adams traveling the world, doing shows, and accumulating critically acclaimed awards. From American Music Awards (AMA's) to the well-known Grammy's, Adams has seen it all. For all those folks out there that believe that the youth only cares about YouTube and IPad's, the NAACP has got news for you. This weekend, the Trenton NAACP Youth Council, will be hosting a Youth Empowerment Summit. The purpose of the event is to educate, empower, and enlighten individual young people between the ages of 8-19. Nowadays, with so many of the youth feeling powerless and without direction, this sort of event becomes particularly relevant as it gives them an outlet to not only be motivated, but also challenged. For those that don't already know, this event is open to the public. People ages 8-19 get in free, while tickets cost $15 for individuals 19 years of age and older. There will be guest speakers and vendors from the Anchor House, the S.E.E.D mentoring program, and One Simple Wish (among many others) offering life changing workshops. The event will be held at 320 Hollowbrook Drive, Ewing, NJ from 10 am to 3 pm. Lunch will be served. 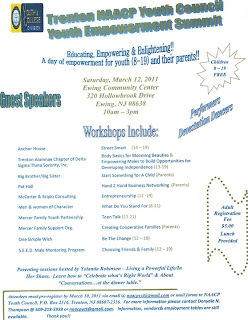 Please come out and support the youth today in Ewing Township. There you have it, Jenna K. Figueroa, a positive voice in Trenton that just had to be heard. Stay tuned to Anwar's Reflections next story. Today, Anwar's Reflections sat down with entrepreneur, motivational speaker, and community activist Tracey Syphax. During the interview, Syphax discussed his passion not only for entrepreneurship but also his deep commitment to giving back to the community. If you don't already know his inspirational story, allow me to fill you in. As a younger man, Syphax had a history of drug abuse and gangster activity, which eventually landed him in prison early on in life. As one can only imagine, it was hard for Syphax to get back on his feet after being released from prison, but yet he did it. Through hard work and determination, Syphax was able to clear his name and start his own business. Sixteen years later, you can find Syphax running two successful businesses, Capitol City Contracting and the Phax Group, LLC. 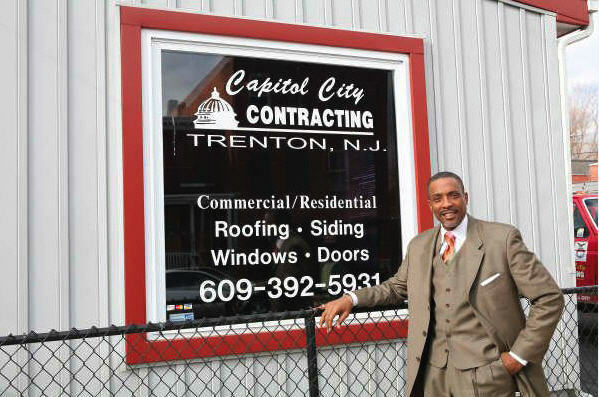 At Capitol City Contracting, they specialize in roofing, siding, windows, and general construction. AGS: What do you do? I am an educator and a socially engaged scholar. I am a professor of speech communications here at Mercer County Community College. I teach a variety of courses, public speaking, human communications, and interpersonal relations, but I wouldn't say I'm an activist. I would say I'm a socially engaged scholar because knowledge is the gift that the creator of all life gave to all of us and I see life as being an ongoing journey of the soul and on this journey information is of much importance if you will, but being on the way of knowledge, being a student of knowledge to me, implies that one is intimately involved in the inner workings of everyday life and so therefore, the duty of a civilized person or an educated person is to be in the activity or involved in 'each one reaching one to teach one'. So thats why I would say I'm an engaged scholar as opposed to an activist. As a younger man, I was described as an airhead if you will, of course, I didn't take too kindly to that. Nevertheless, to me it sounded like a challenge and as a street fighting man and as a performer, I love challenges. So I asked my patron at the time what they would think, quite frankly, about my going to college at which point he began to verbally abuse me and say all sorts of ungodly things to me. So at age 25, I decided to pursue this challenge and enroll in a school in upstate New York called Nyack College, then I transferred to another college in North Carolina, called St. Andrews College Presbyterian College it was at that time that I came to a greater realization of myself. I majored in theater and minored in psychology. It was during that time that I was then asked, what do I want to do, I thought to myself, I wanted to return to London where I previously did a semester of study, however, I still felt something was still here for me in the United States, and it was hard for me to put a finger on it, but it was one of those gut feelings. The man that initially challenged me to go to college came back and said why not try a graduate degree, but I thought to myself, I'm a street fighting man [laughter], college isn't for me, but anyway, through his support I was able to enroll at Princeton Theological Seminary. At that time, I was very angry with respect to the religious communities in the United States, the major issue for me was the life standards of the poor and Nelson Mandela in South Africa, those were big deals for me, in addition I saw the treatment of minorities as cause for concern. I wanted to know what the church had to say about these matters so it was there I received my answers at seminary before I graduated in 1984. I graduated, came out, eventually found a place in East Orange and here in Trenton where I worked for the First Presbyterian Church in their Hanover Street Ministry. That ministry was a part time ministry. While working there I found that there was a deep need for education, many of the people there were rather miserable as a direct result of not finishing their education. So I decided to volunteer at Mercer County College next door to help out. As a result, I made a lateral move from the Hanover Street Ministry to that of working for Mercer County Community College in their New Jersey Youth Core Program to their SMILE program. Soon after that, I was invited to teach on an adjunct basis, English as a second language and conversation, then fortunately someone retired in the communications department at the College. Soon after that, the dean of the Liberal Arts division asked if I would like a position in the communications department. I agreed to this. The school was willing to take a gamble on me. That's why I have such a deep affection for Mercer County Community College, because they afforded me an opportunity to stretch, to learn what it means to be a teacher, what it means to value scholarship, what it means to be a human being. It's afforded me a wonderful perspective through which I am able to view the world . Our institution has students from around the world. So I have the opportunity to travel the world without packing my suitcase. AGS: What was the motivation behind becoming an educator? Education was always stressed in our household. I grew up in a Garveyite household. I was often told that a man that can read, write, or speak can never be enslaved. Being able to read and being curious about life and subject matter was always stressed in my life as I grew up. AGS: As an educator, what makes you unique or stand out? I tell it how it is. My approach is non-traditional or unconventional. I like to keep things raw, every once and a while I may use an expletive. Its incumbent upon me to learn how students learn. I work at building bonds of affection. As an educator, I feel I can be an impediment or a facilitator. I choose to be the latter. AGS: Did you face any challenges in becoming an educator? If so, how did you overcome those challenges? Challenges come all day. We have bullies. We have those that have a high sense of self. There is another challenge, when I first started teaching, I can remember two young ladies were laughing as I was speaking. I said I'm not going to proceed until you tell me what's so funny. The sister said, we were laughing because you talk white. I said to them that speaking properly is not limited ethnically or nationally. So that was a challenge. The judgment of my students and the judgments of our colleagues were all challenges. AGS: As an educator, do you have any advice or tips for future educators? I shy away from giving advice, because advice is like an armpit, some are cleaner than others [laughter]. But all jokes aside, I would say that we should remember that we are perpetual students. Life is ever expanding, the universe is ever expanding and we need to do the same, expand. LAWRENCEVILLE-- Today, Anwar's Reflections visited Rider University where renowned scholar, professor, and author Dr. Cornel West gave the keynote address for Rider's Black History Month Celebration. The event was held in the Bart Luedeke Center inside the Cavalla Room. The purpose of West's discussion was to highlight the seven principles of Kwanzaa, i.e. unity, creativity, cooperative economics, faith, purpose, self-determination, and collective responsibility. Kwanzaa is a week-long celebration honoring African American heritage and culture. Kwanzaa was created by UCLA Professor Maulana Karenga. 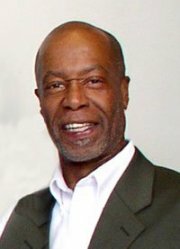 According to West, Kwanzaa is all about "education in the deeper sense, how do you undergo the shift from living at the level of the superficial and begin to engage with the substantial, its called a turning of the soul, to use the language of Plato". During the talk, West went on to discuss the importance of finding your true "voice" and not simply being what he calls "an echo" that simply imitates others but never creates one's own vision. He said that students ought to approach life with purpose, self-determination, and faith. But he says that faith has nothing to do optimism, for West faith is all about sustaining a "blues inflicted hope" against all odds. Members of the audience included students and others from the community. Audience feedback is below. One person, Shaila Counts, a senior at Rider University, said she attended the event because she wanted to support one of her"sorority sisters" that just so happened to be the president of the Black Student Union and was an integral part in getting Dr. West to speak at the University. Shaila went on to say that she also went to the event because she felt "Cornel West is an inspirational speaker" and because she "wanted to hear what he [Cornel West] had to say. With speakers like Dr. West, you get to hear a different perspective, a perspective from the older generation, something I think is needed". Another audience member, Rance Robeson, a senior at Rider and the editor and chief of the school's well-known literary journal On Fire, said "When Dr.West comes, you have to go, he's a scholar, he's a social critic, he's a professor, he's a leader in our communities. I've never seen him in the flesh up-front. I've seen him so many different times and in so many different ways on television supporting the same efforts and particular views that I have, so when I heard he would be here I said I have to come out, especially on a university of higher learning like this, especially one I'm already attending. You got to go". Robeson went on to say, "I think events like this are crucial at this particular point in time. I'm doing fairly well in school but, I feel invigorated in the sense that now I want to be a better friend, I want to be a better student, I want to be a better person, I want to be a better leader. Just from seeing his particular image and knowing all the things that I envision for myself, he's my proof, for me its like, I understand that I'm a male, I understand that I'm black, I understand that I'm a minority. This brother right here [Cornel West] is all of those same things, he fits the same criteria that I fit, yet he is the proof. If you never have proof that something exists, then you never really believe in it, and that's why I think events like these are crucial". Another audience member, well known poet and community activist, Raul Polo Cortes, said that its "good to go and hear his [Cornel West's] perspective. Its good to soak in and listen to what he had to say. Its very rare when a person who has such a name and talks all over the country and all over the world to hear his perspective, because a lot of people with that kind of money and that kind of name are not going to say what he said". Cortes went on to say that West encourages others to speak up "and tell it how it is, whether the cameras are on, or whether they are off". Anwar's Reflections will be sure to keep you up to date on any upcoming events.